Annie's Art Book- Food: Ponyo's 3 minute noodles recipe! Have you seen the movie Ponyo? Miyazaki is one of my favorite directors and as a huge fan of "Kiki's delivery service ", " Castle in the sky ", "Howl's moving castle " etc, I couldn't miss to introduce this movie to my kids! And here is the recipe, for Ponyo's 3 minute noodles! * Note: You can use any kind of noodles or even spaghetti, but if you want to keep true to the movie( and my kids are like that! 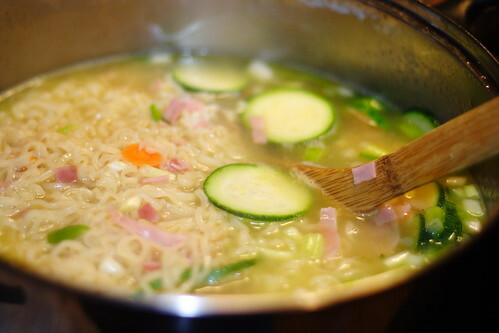 ), this is the kind of noodles they use there- 3 minute instant noodles! I myself am not a huge fan of instant food, that's why I use only the noodles from a package, not the dry spices package! That's why I recommend to use real chicken broth and spices, instead of the prepackaged ones! 1. 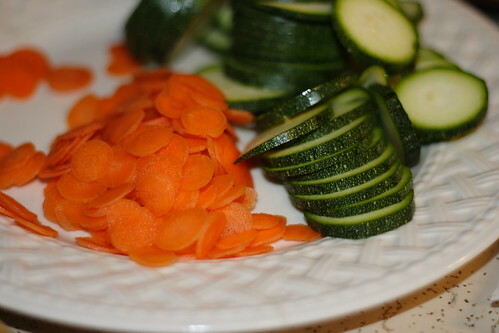 Cut the carrots and zucchini, then cut the ham and green onions. 2. Place the broth in a pot on high. 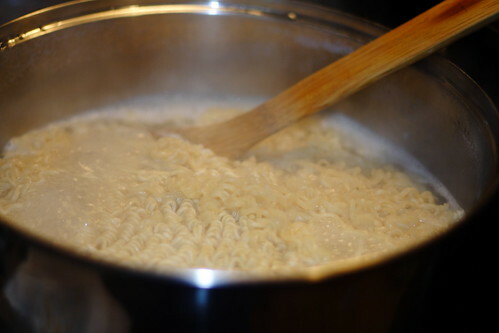 When it starts boiling, add the noodles and stir well for 1 minute. 3. Add the butter,salt, pepper, zucchini, ham and carrots, then turn of the stove and place the lid on the pot and leave it for 2 minutes more. 4. 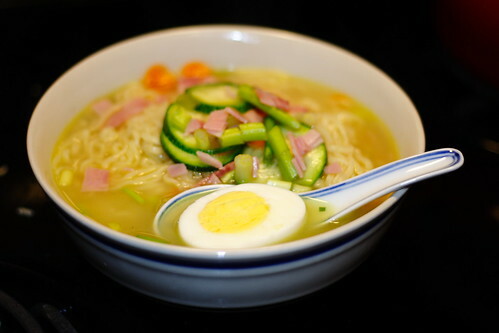 Serve in bowls garnished with green onions and one half of the boiled eggs. Thank you. We are having a Ponyo birthday party slumber party for my 9 year old. This is what we'll be serving.